Steven Laureys (°Leuven, 1968) grew up in Hoeilaart, a commune close to Brussels. The son of a garage owner and a children’s clothes seller, he dreamed of becoming a doctor from a very tender age. As a teenager, he was fascinated by the great questions of existence. Where does matter come from? How does it become alive? And especially: how can living matter develop consciousness? 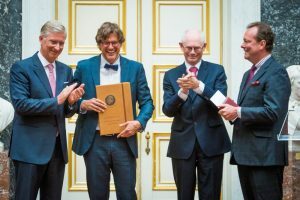 Following his secondary studies at Sint-Jozef college d’Overijse, he entered the Vrije Universiteit Brussel (VUB) in 1986 to study medicine. In 1993, he did a course in South Africa in the neurosurgery department of the Stellenbosch University Hospital on the Tyberg campus in Capetown. 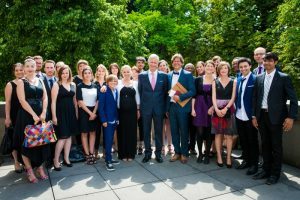 That same year, after being awarded his degree in medicine (at VUB) with first class honours, he began his clinical training in neurology at the VUB university hospital. He was simultaneously awarded a Master’s in pharmaceutical medicine (1997). After a spell at the University of Cambridge (1996), he began a PhD which formed the basis of his later research into comatose patients. Using PET scans and electroencephalography he studied human sleep by observing the way in which the brain reacts to the injection of radioactive water and sugar into the arteries of research subjects. His research was awarded the highest distinction by the panel (ULg, 2000). Later, Steven Laureys was also awarded a palliative care accreditation (ULB/ULg/UCL, 2004) and a higher education qualification (ULg, 2007). 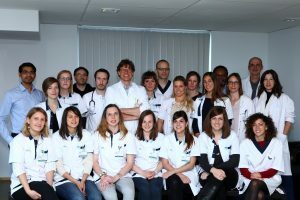 Today, Professor Laureys works as a clinical professor attached to the neurology department of the Centre hospitalier universitaire du Sart-Tilman in Liege (since 2008). In addition, as head of research of the Scientific Research Fund of the French Community (FRS-FNRS), attached to the GIGA Research Centre of the University of Liege (since 2007). Steven Laureys therefore continues to combine scientific and clinical expertise, which he strongly believes is a very important combination. Since the beginning of his career, Steven Laureys has worked to reduce the distance between different research disciplines, university faculties, care centres and language-specific communities with a view to establishing fruitful cooperation initiatives at a national and international level. It was in this context that he established the renowned international and transdisciplinary “Coma Science Group” which today has around thirty members. In collaboration with the University of Cambridge and the Weill Cornell medical centre in New York, this team is working to improve medical treatment and knowledge about impaired consciousness, such as in the case of coma, vegetative state (renamed “waking unresponsive syndrome”) by Professor Laureys, the minimally conscious state and locked-in syndrome which are the consequence of severe brain trauma. Steven Laureys founded the group « GIGA Consciousness » in Liege, an internationally recognised school which studies the pathological, pharmacological and psychological modifications in human perception and consciousness. Because his work raises life and death issues, there has been an inevitable reaction from certain individuals with different religious and philosophical convictions. But Steven Laureys is not afraid of the social, legal, political and ethical questions raised by his work. He offered his expertise to the Pontifical Academy For science and life (2004), the American Congress (2006) and SPF public health (2006), and he met the Dalai-lama at the University of Strasbourg (2016). 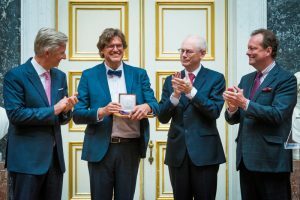 Since 2013, he has been ambassador for the Belgian Brain Council and a member of the Bioethics Consultative Committee (2014-2018) where, in his capacity as a neurologist and neuroscientist, he offered an informed opinion on questions relating to biology, medicine and health care. It is not just among academic, medical and political spheres that Steven Laureys wants to draw attention to individuals affected by brain trauma. He would also like to create an awareness of the problem among the wider public. As a didactic speaker, his services are regularly solicited by the Belgian and foreign medias, and gives very respected TEDx conferences during which he argues in favour of organ donation among other things. In 2015 the publishing company Éditions Odile Jacob, published « Such a brilliant brain – The limited States of Consciousness », an accessible book focussing on the limits of our brain and its formidable capabilities. 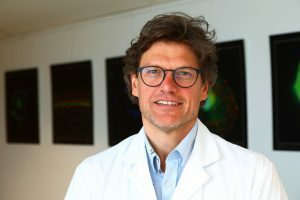 Throughout his career, Professeur Laureys has won several awards including the William James Prize of the Association for the Scientific Study of Consciousness (2004), the Cognitive Neuroscience Society Young Investigator Award (2007) and the Blaise Pascal medal from the European Academy of Science (2012). In addition, he has been invited to occupy the role of Chaire Francqui at the university of Namur from 2014 to 2015. Steven Laureys is married to the Canadian neuroscientist Vanessa Charland-Verville, who, like him, works at Liege University Hospital and is a member of the Coma Science Group. Together they are expecting a baby boy who will join an older sister Clara who is 18 and two older brothers Hugo and Matias who are 16 and 12 years old respectively. When, at the end of the 90s, Steven Laureys took his first steps into the world of neurology, coma research seemed to be in a comatose state itself. Fascinated from a very young age by questions relating to human consciousness, he decided to breathe new life into this research area and devote himself to the study of the brain function of patients affected by serious consciousness impairment such as coma, the vegetative state (renamed “waking unresponsive syndrome” by Professor Laureys), minimally conscious state, and locked-in syndrome. For 20 years, Professor Laureys and his team have made several discoveries. His multimodal evaluation of the consciousness of patients affected by serious brain trauma is recognized for its huge medical, scientific and ethical value. Steven Laureys conducts clinical studies on consciousness using specific and validated clinical evaluation scales. On this basis, in 2009, his team was able to demonstrate that no less than 40% of patients in a so-called “vegetative” coma are in fact conscious (some of them to a minimal degree); a discovery with massive therapeutic, ethical and legal implications. The team also demonstrated that the best way to study eye movements was not to use an object but a moveable mirror. Steven Laureys also practices electrophysiological studies using measurement of the electrical activity of the brain, by the means mentioned above and an electroencephalogram in tandem with magnetic transcranial stimulation. In addition, Professeur Laureys’ Coma Science Group uses functional neuroimaging with the aid of PET scans (a scanning technique which detects where an injected radioactive material will accumulate in the body) and MRI scans (a scanning technique based on magnetic waves). The first PET studies by Steven Laureys show that it is not overall brain activity that indicates the existence of consciousness, but rather that some areas of the brain seem more important than others for the presence of perception and thought. He also conducts in-depth studies to establish whether unresponsive patients that are in the minimally conscious state can feel pain. Based on his results, he argues in favour of giving these patients pain-killers and palliative care. One of Steven Laureys’ greatest discoveries is unquestionably the fact that the brain contains not one but two consciousness networks – an external consciousness network (concerning the environment) and an internal one (which concerns us all). They are connected by a deep cerebral core. The brain automatically alternates between these two networks. When they no longer function, there is no more consciousness, even if the patient can still breathe and move. While it is true that this discovery has made it possible to better understand the neural network of consciousness, it has also got clinical implications: these advances are applied to gaining a better understanding the chances of a cure and testing new treatments later on. In his research on individuals who find themselves in a minimally conscious state, Steven Laureys makes intensive use of emotional stimuli. It has been shown that seeing one’s own face in a mirror or hearing one’s favourite music, generates greater brain activity. This is known in psychology as « The cocktail party effect”: while attending a party, you can still distinguish your name among all the commotion. In collaboration with the University of Cambridge, Professor Laureys’ team is developing a new paradigm in FMRI which tries to read the thoughts of non-communicative patients by having them complete imaginary tasks during the scan. It is possible to communicate with patients who are incapable of speaking by asking them questions where, in the case of a “yes” answer, they must think of a sport and in the case of a “no” answer, they have to think of walking toward their house. Different parts of the brain will become illuminated in accordance with the answers. His team has also conducted studies on healthy volunteers whose consciousness has been alternated by anaesthesia or hypnosis in order to better understand, based on this information, the residual brain activity of coma survivors. Finally, as a committed humanist, Steven Laureys is interested in ethical questions and social issues raised by patients in a coma or in similar conditions. For this reason, he launched a European initiative to replace the term “vegetative”, which has a negative connotation, by the more neutral and descriptive term “waking unresponsive syndrome”. He is also involved in the debate on the end of life after coma, in the hope of rationalising it by means of scientifically substantiated data. But above all, he has shown himself to be a fervent and charismatic defender of the right to a better quality of life and better adapted care for patients affected by brain trauma and chronic consciousness impairment.